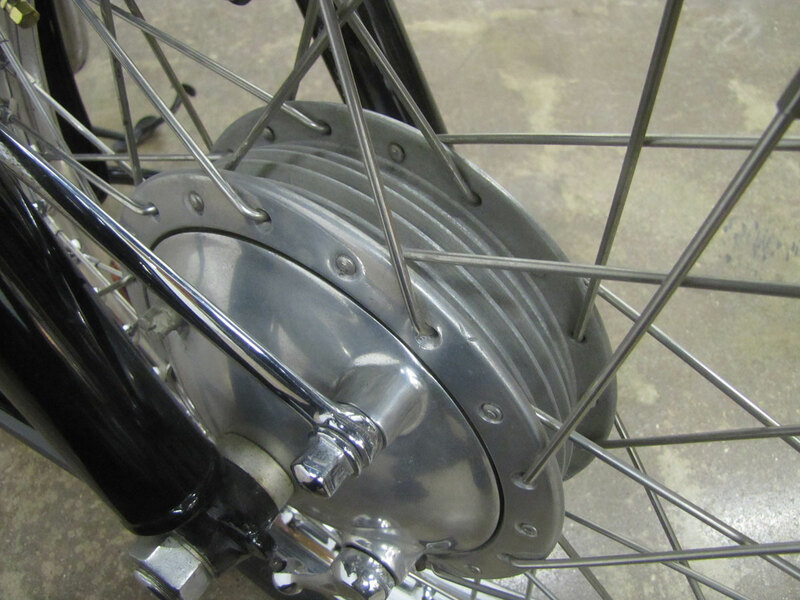 British designer Edward Turner is most remembered for his engineering and design work on Triumph twins, but he also conceived and designed the very refined Ariel Square Four in 1928. 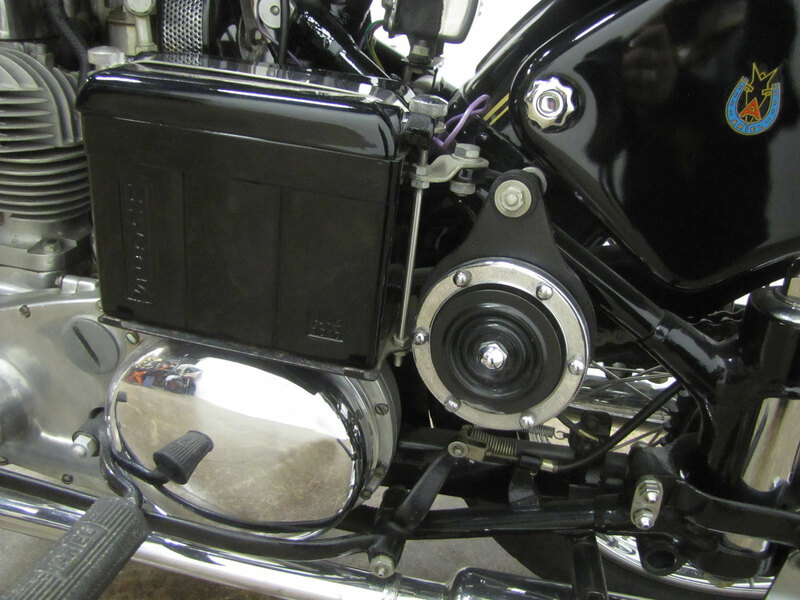 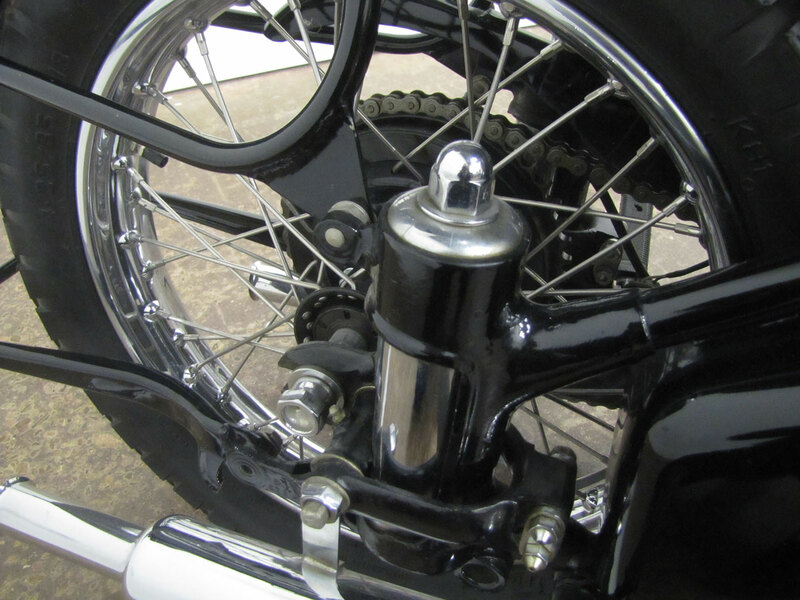 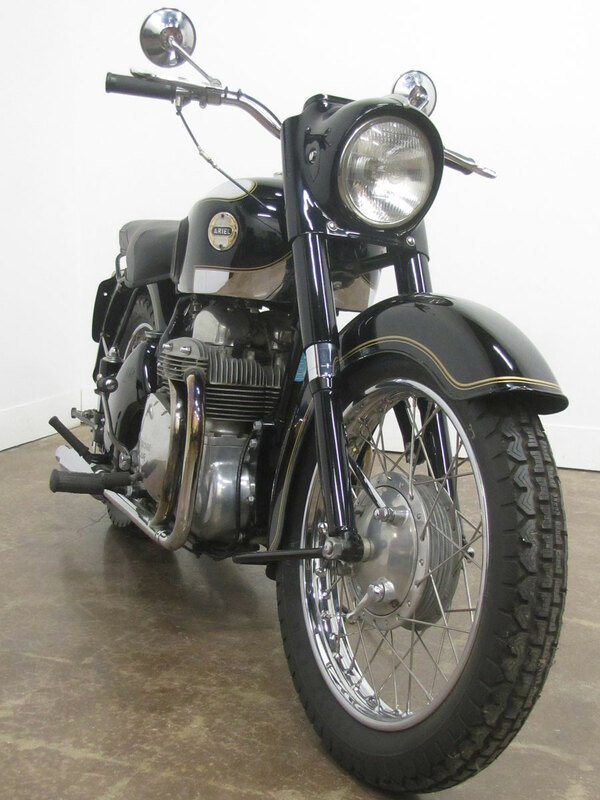 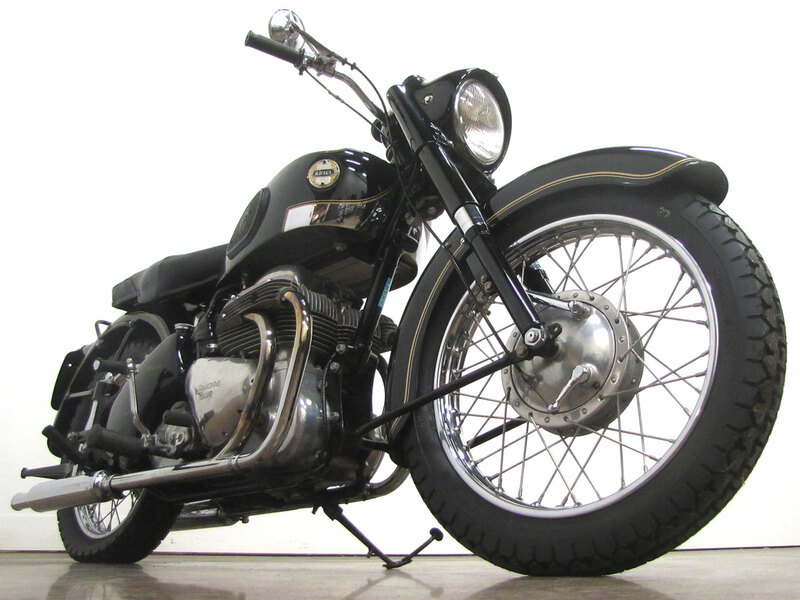 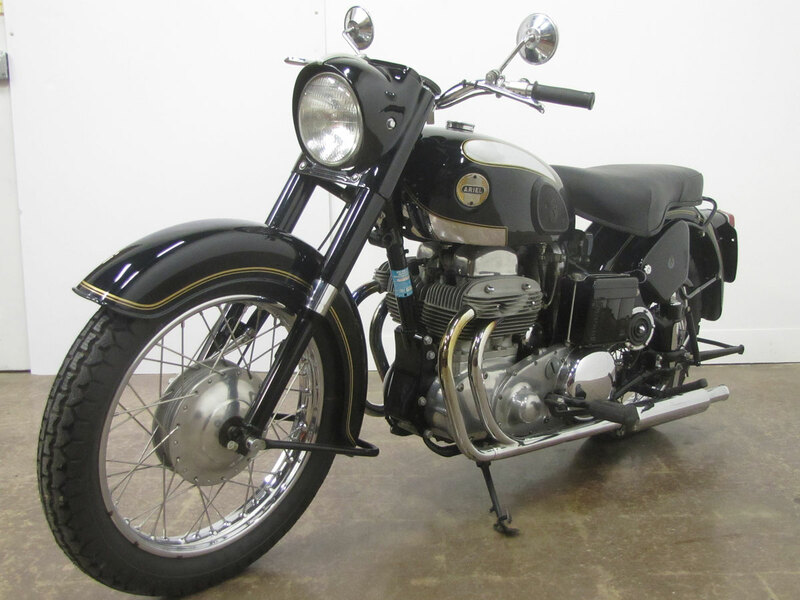 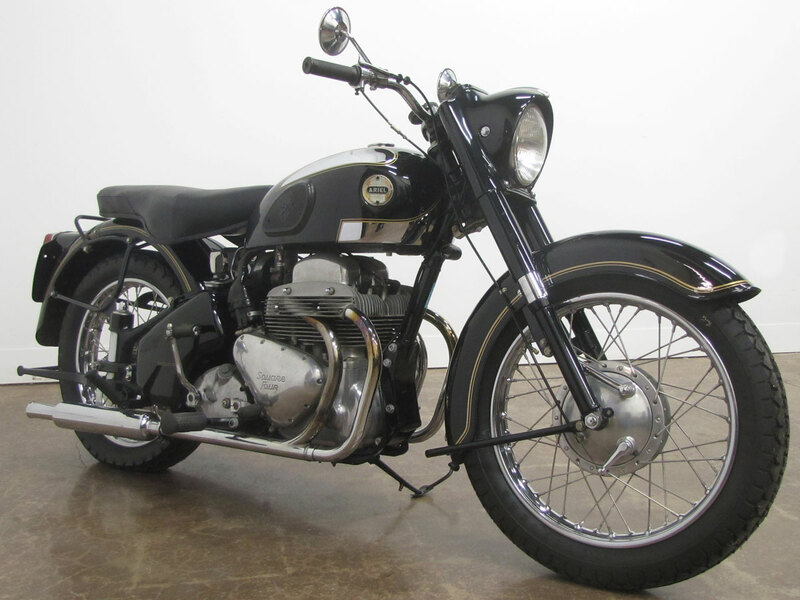 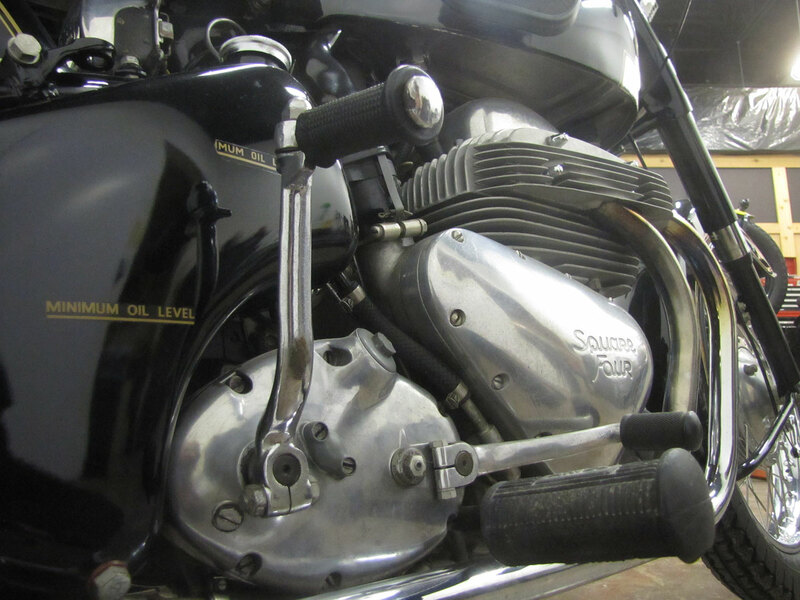 There had been in-line fours for decades, singles and V-twins, but Turner felt this square layout was an efficient, nicely sized “package” to power a heavyweight luxury motorcycle. 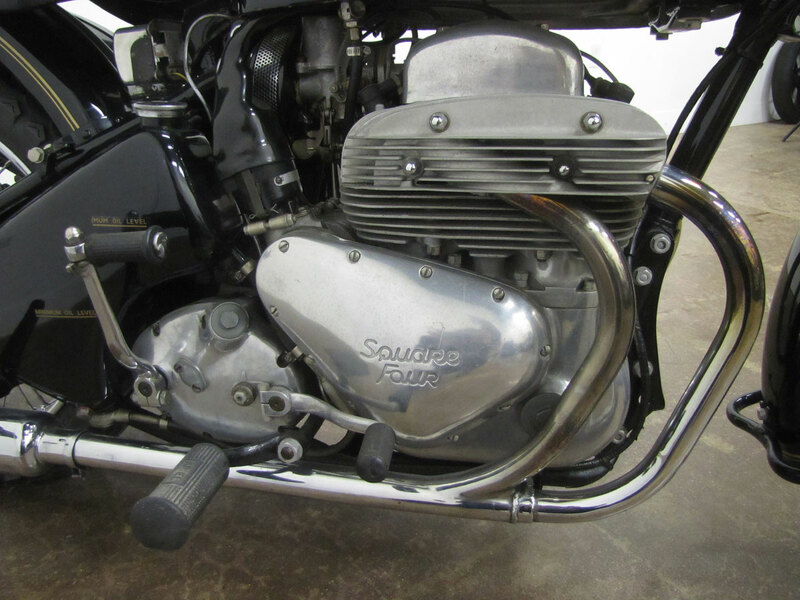 More expensive than most other British bikes, though with quality design details, the Square Four was an alternative to the Vincent meant for gentlemen riders seeking something finer that stood out from the crowd. 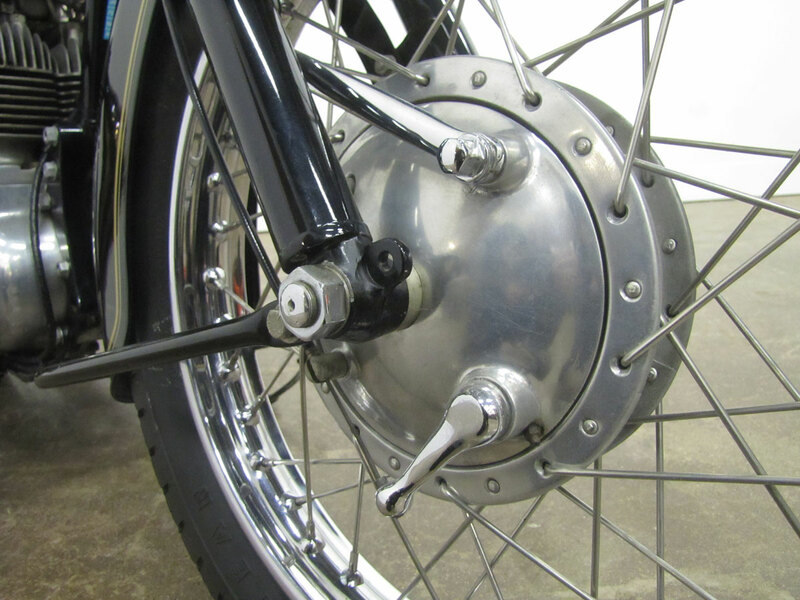 A fan of the parallel twin design, Turner’s approach to a Four was two parallel twins in tandem, one behind the other, their crankshafts geared together and therefore counter-rotating. 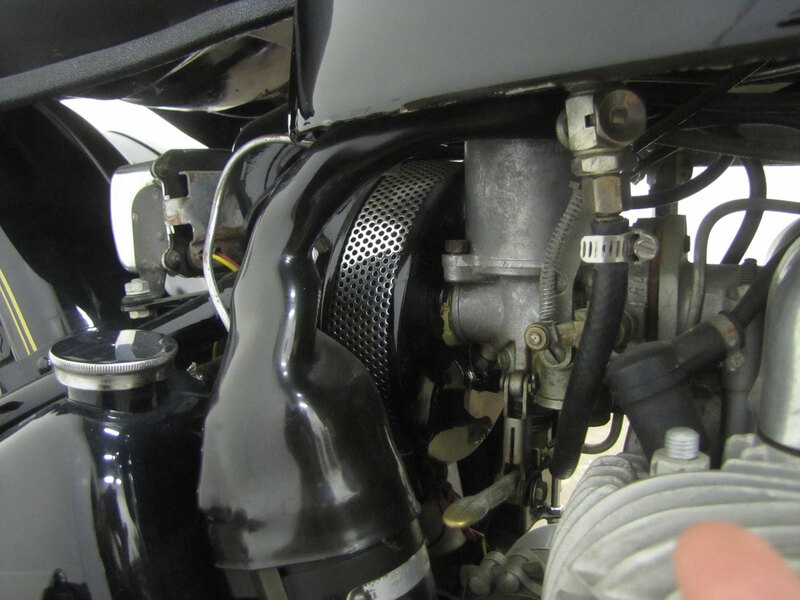 An intake manifold brought fuel to each of the four inlets from a single carburetor. 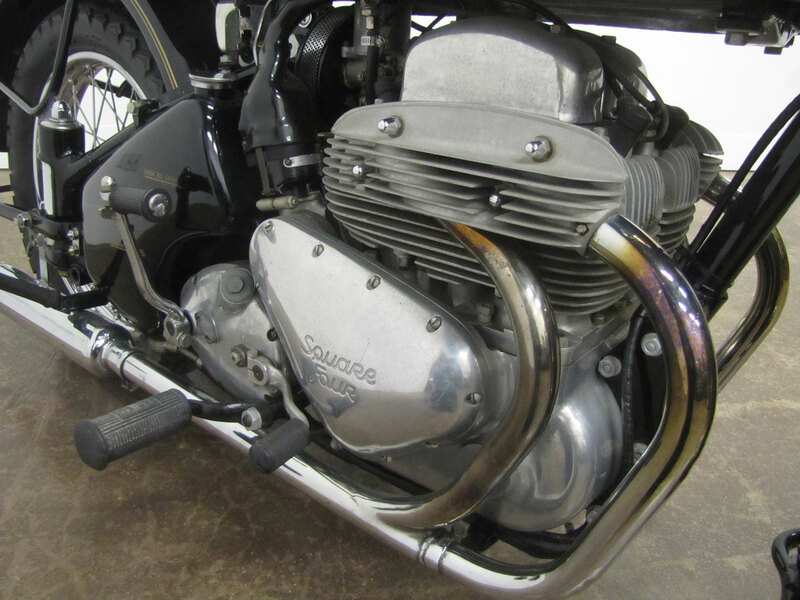 Unique for British machines of the time, the cases were split horizontally minimizing oil leaks. 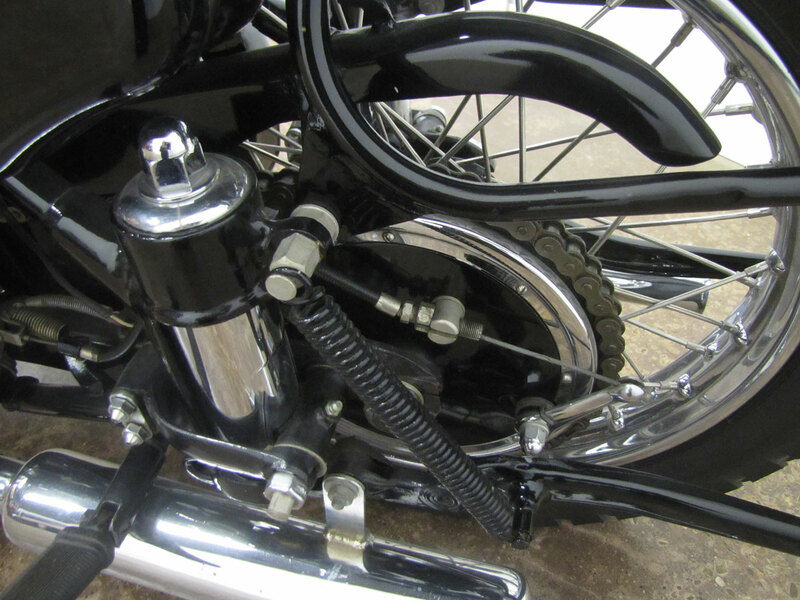 The earliest, 1931 and 1932, machines were overhead cam and 500 cc’s, but went to 600cc’s for 1932 to 1937. 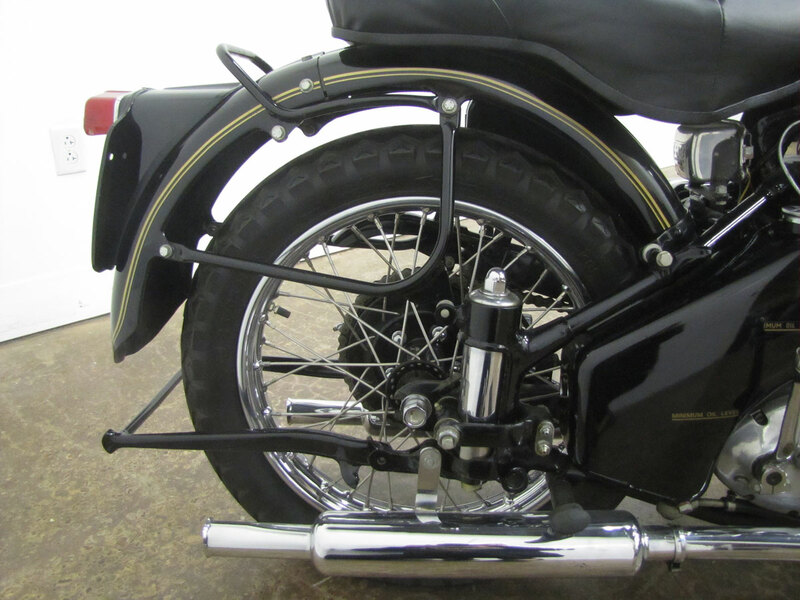 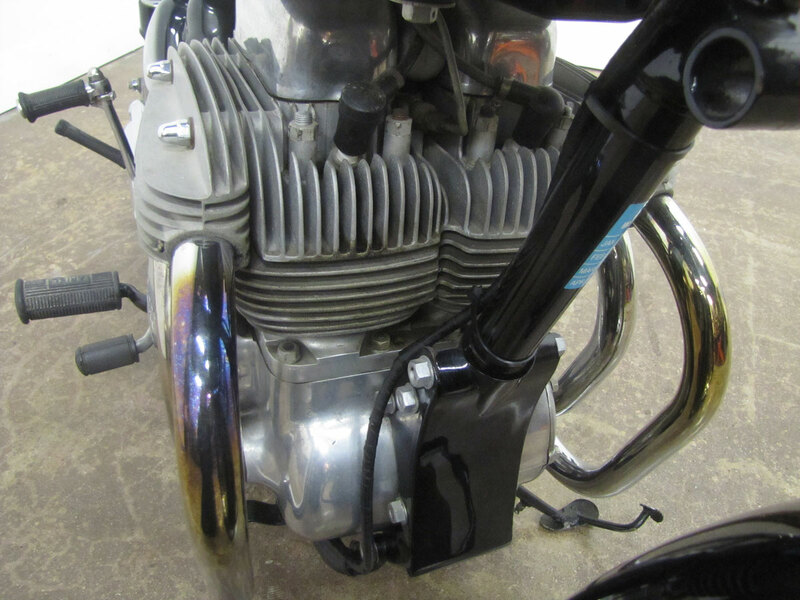 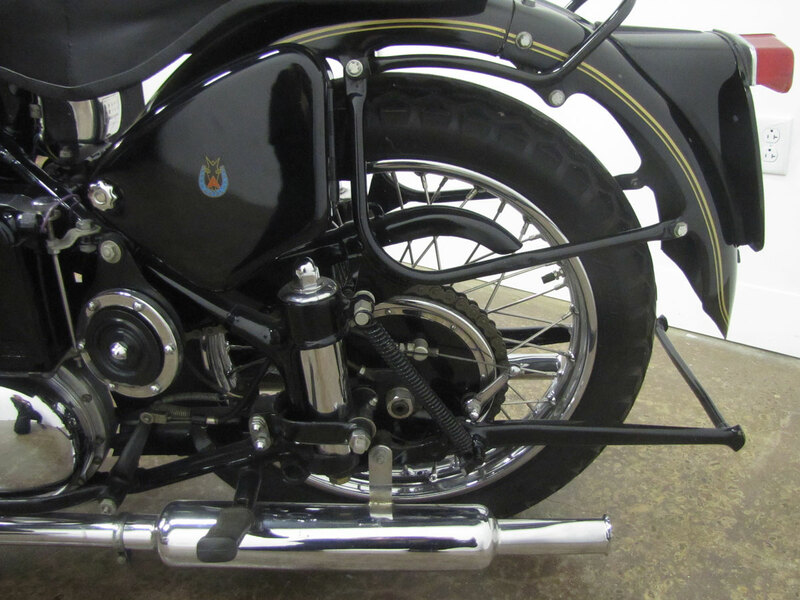 By 1937 a less complex pushrod overhead valve setup was used with displacement at 600 cc’s to give a bit more power for a sidecar, then popular in England. 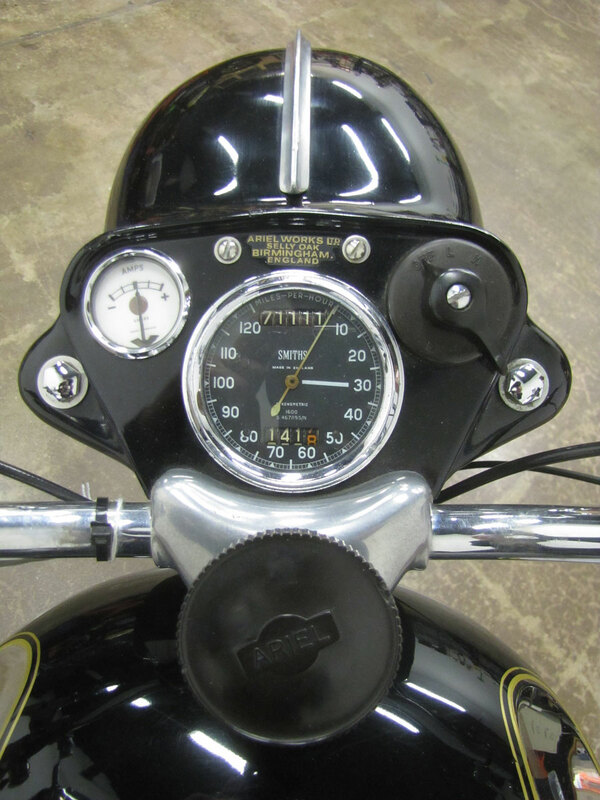 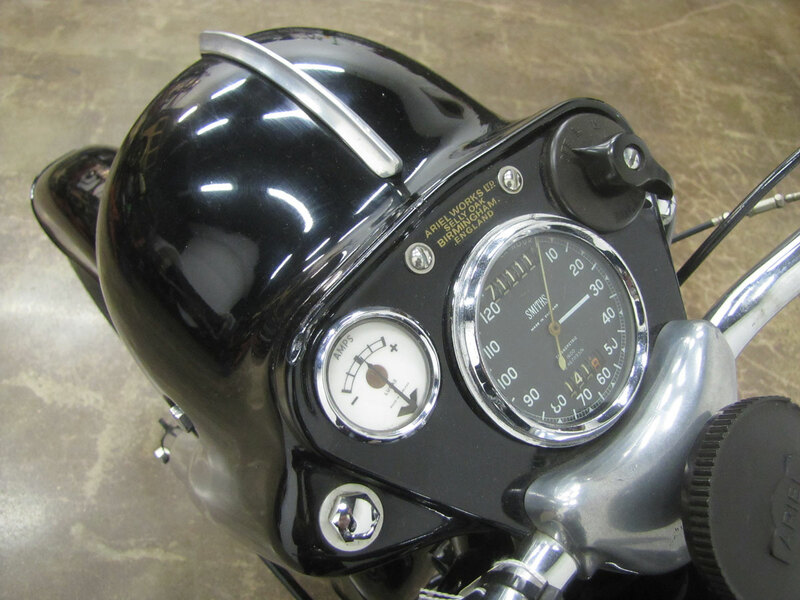 By 1937, displacement was up to 997 cc’s and the smaller engines no longer produced. 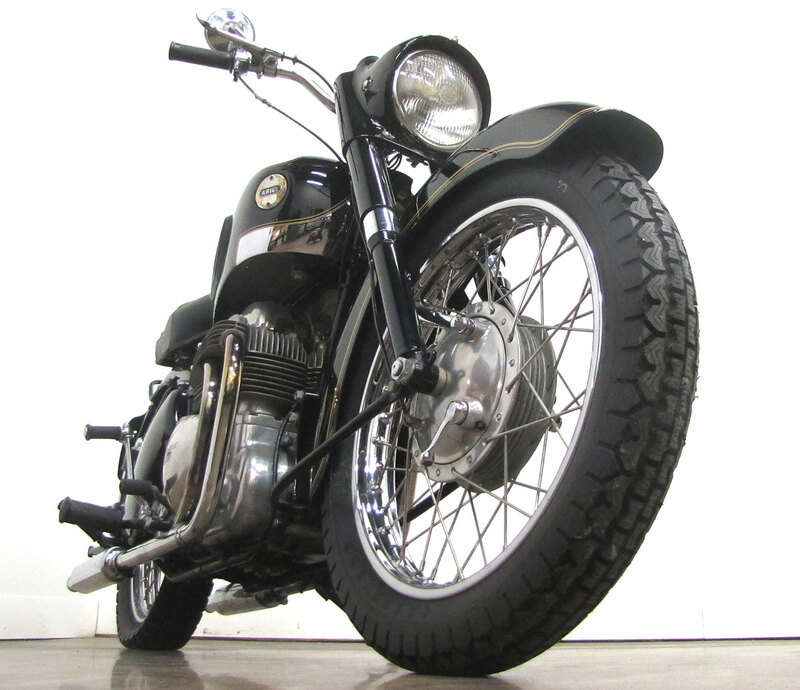 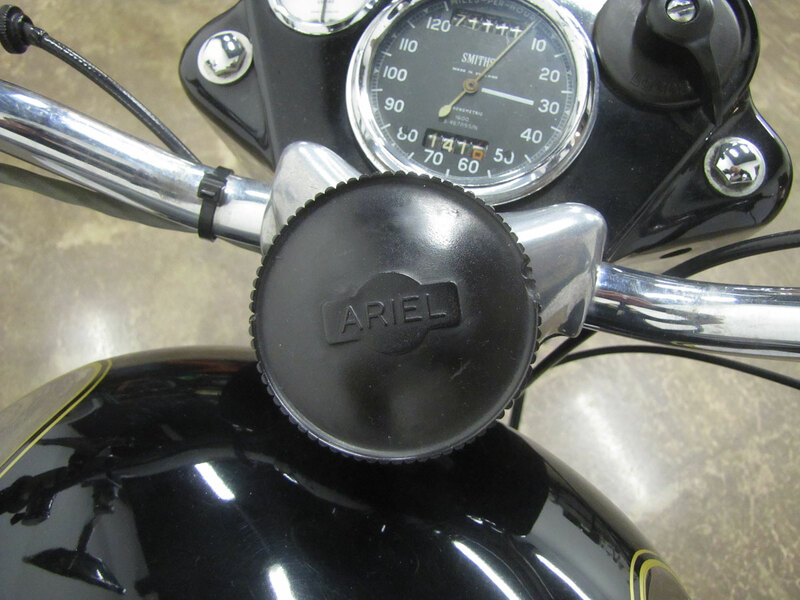 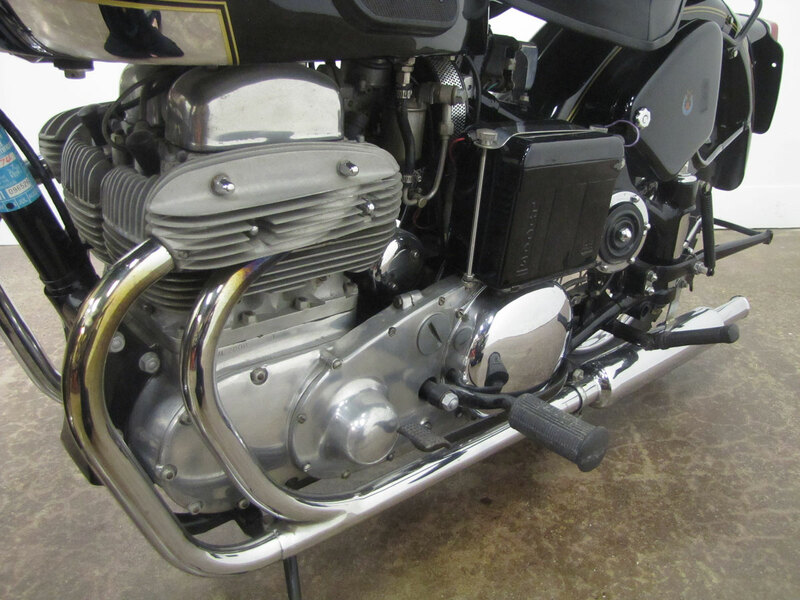 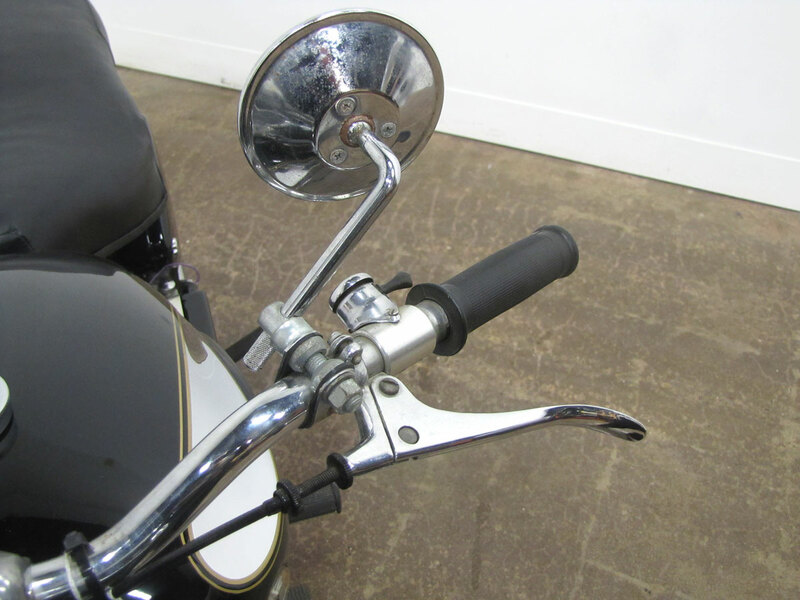 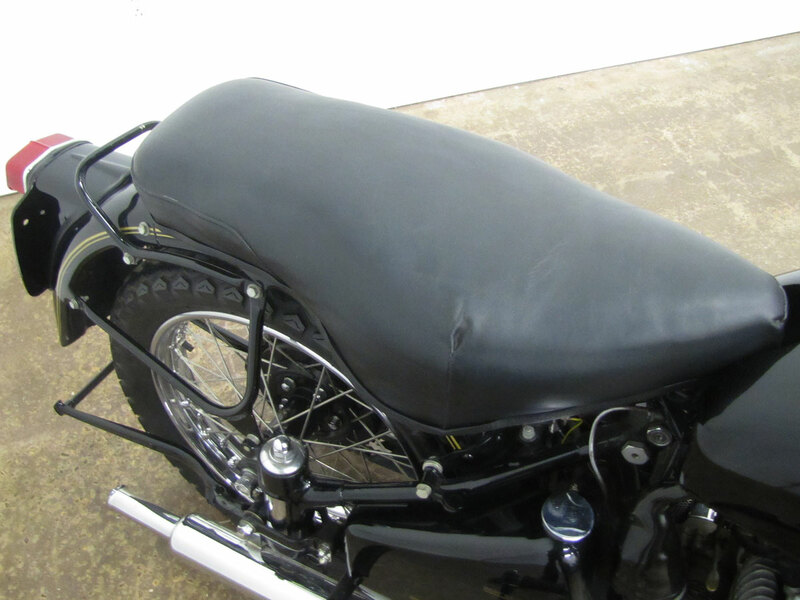 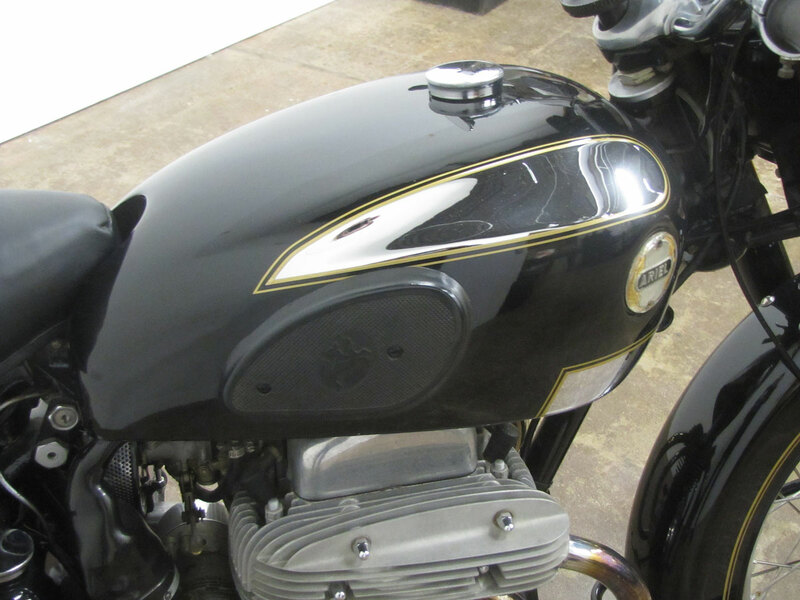 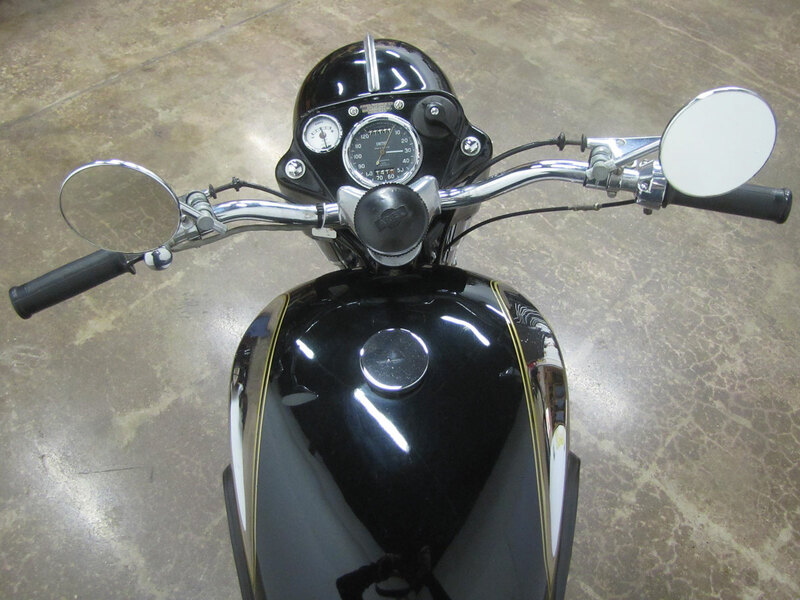 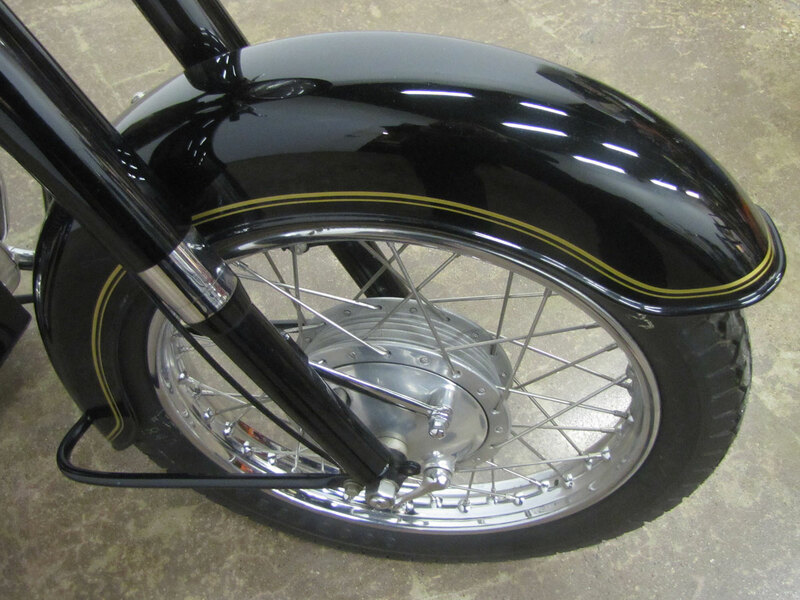 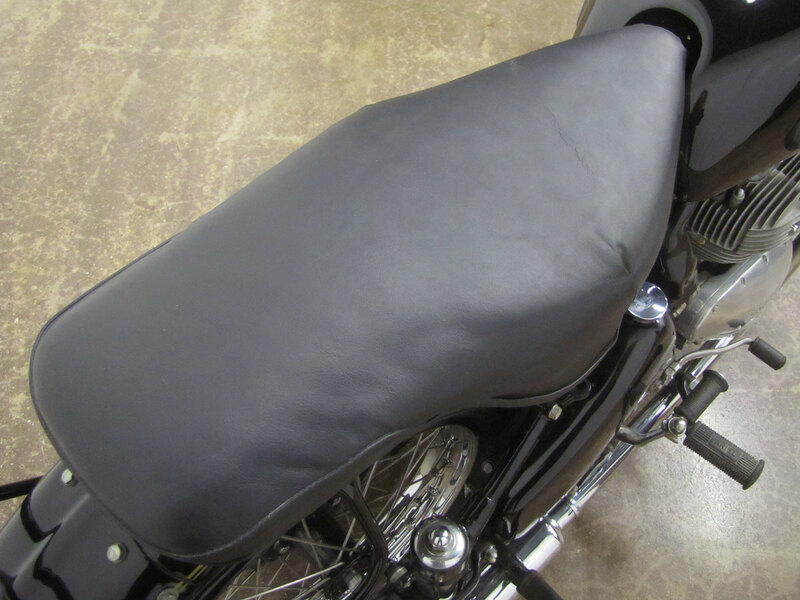 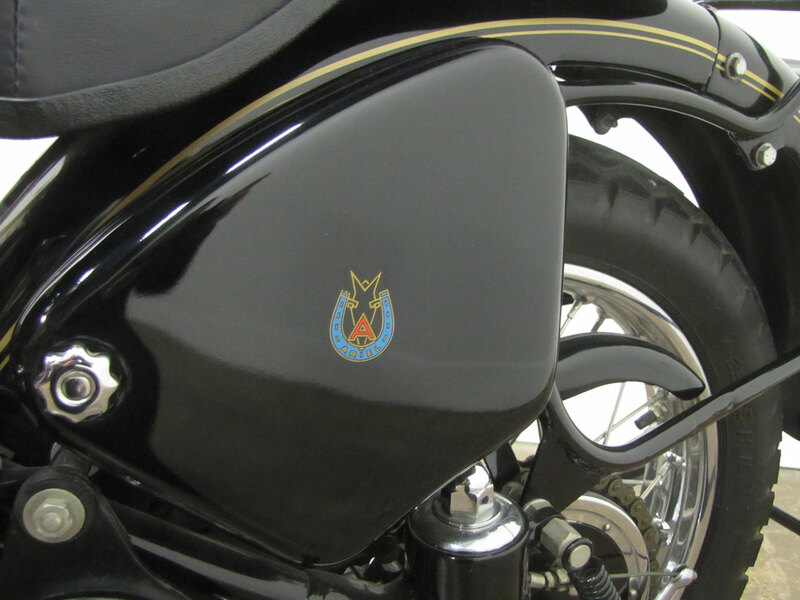 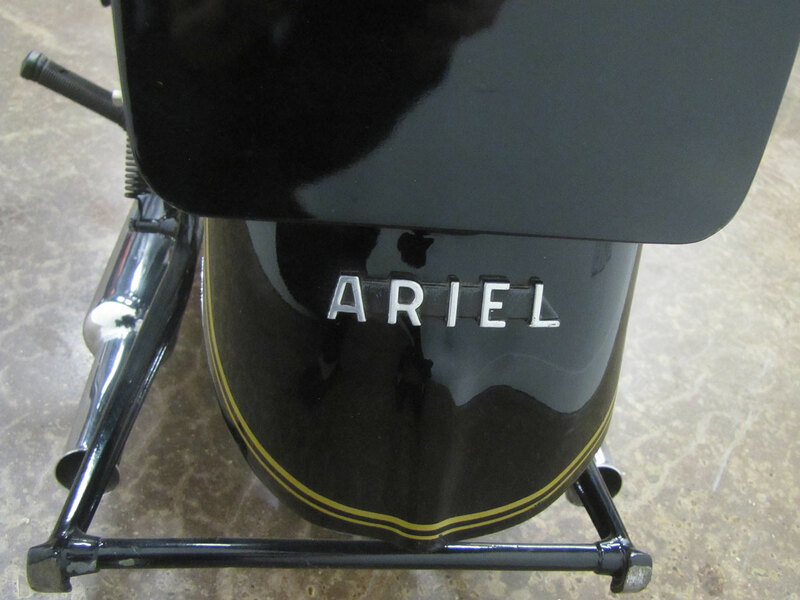 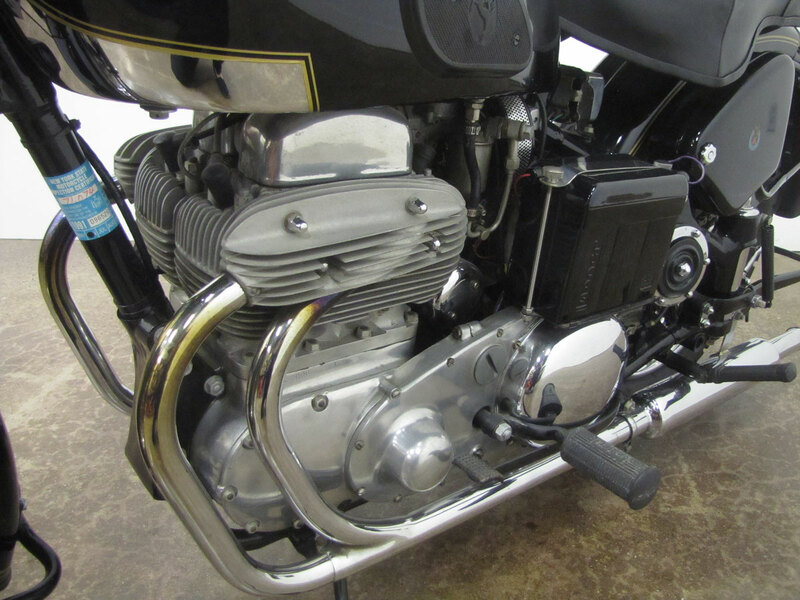 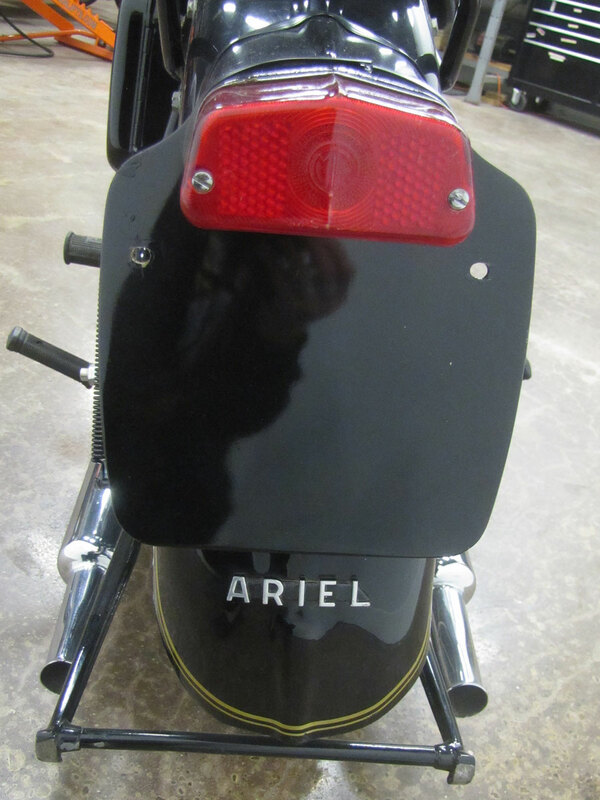 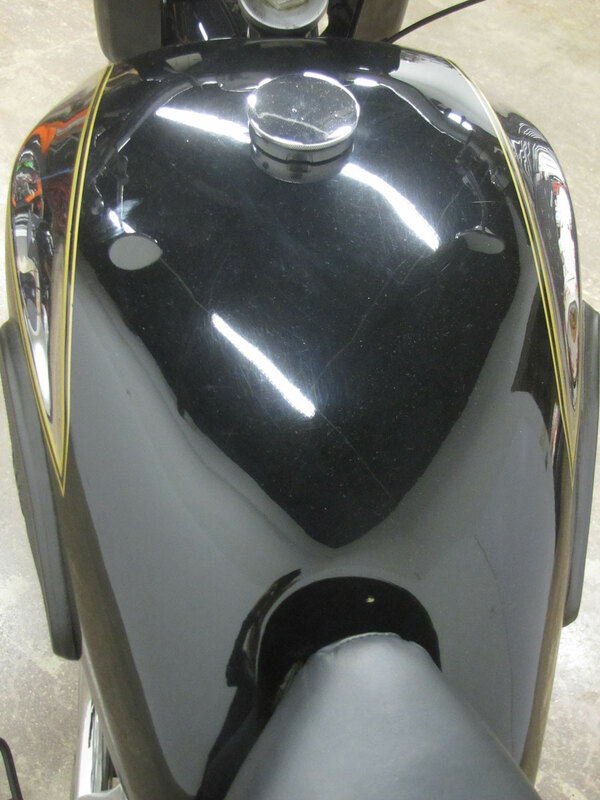 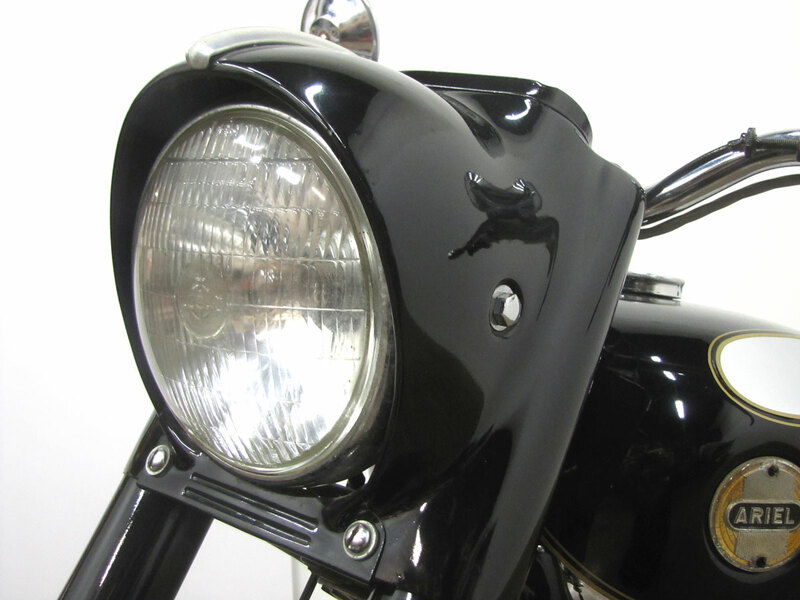 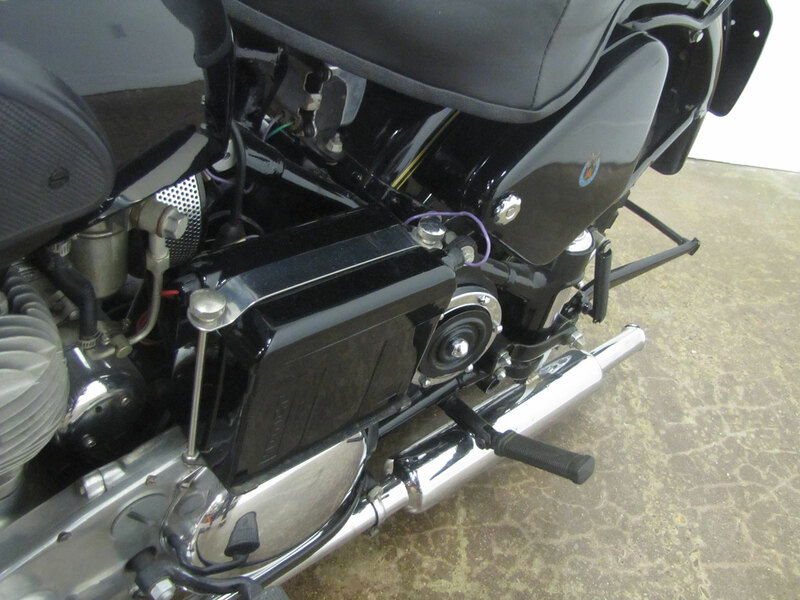 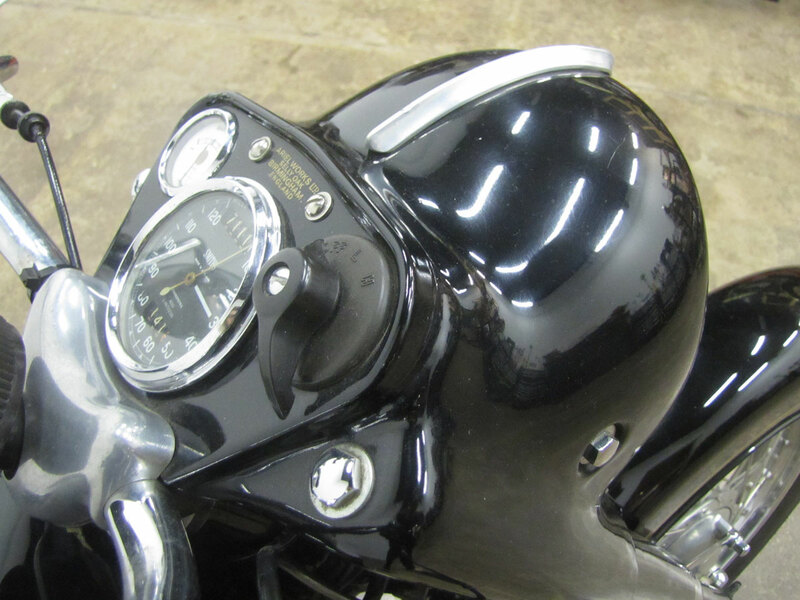 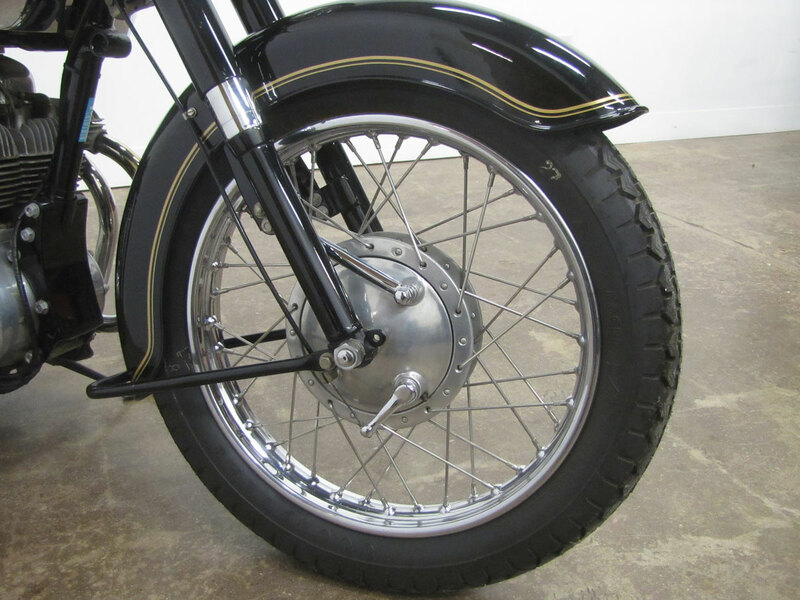 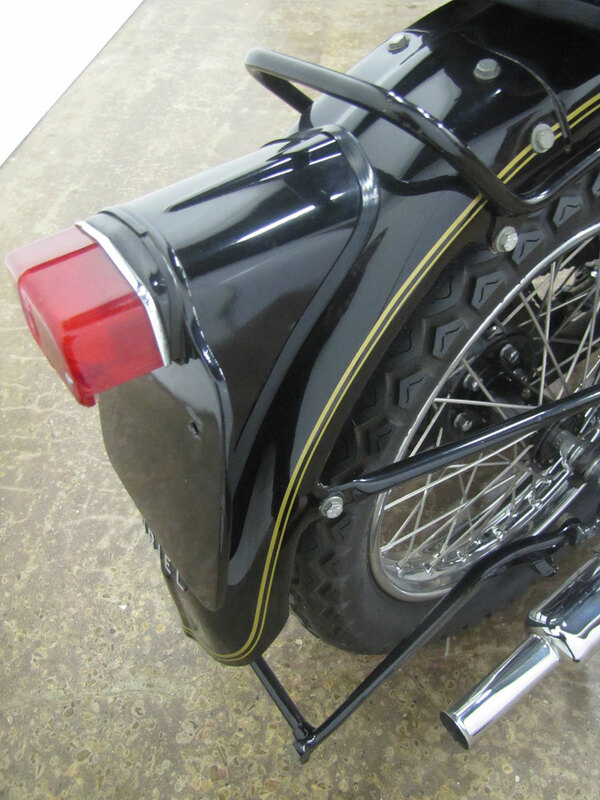 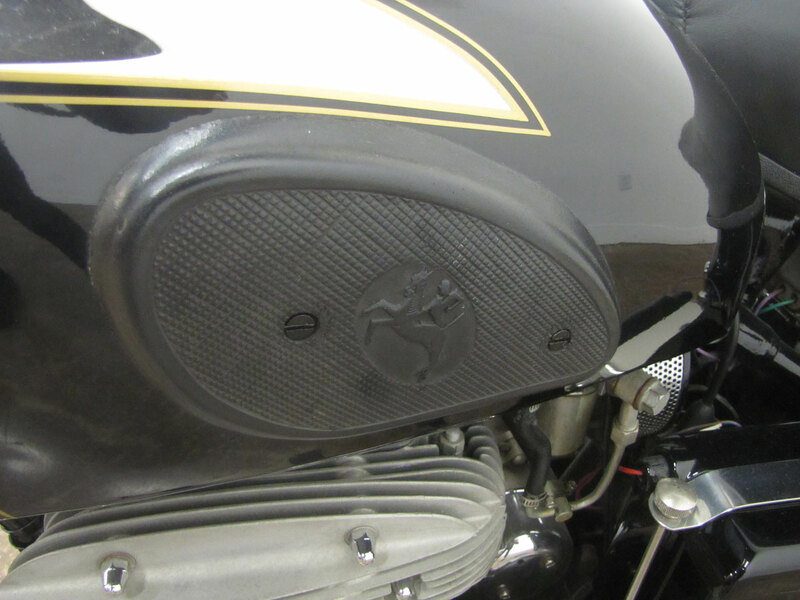 The cast iron top end was replaced by an alloy cylinder and head with attractive polished fins. 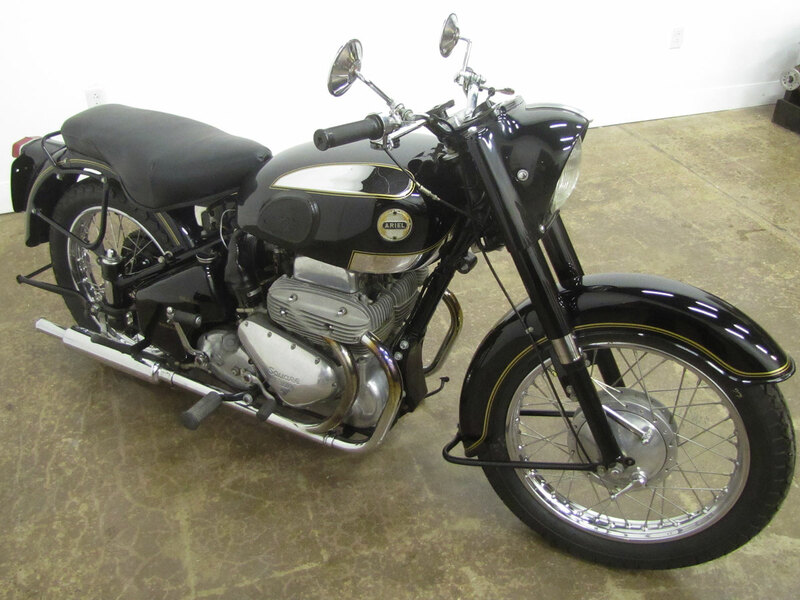 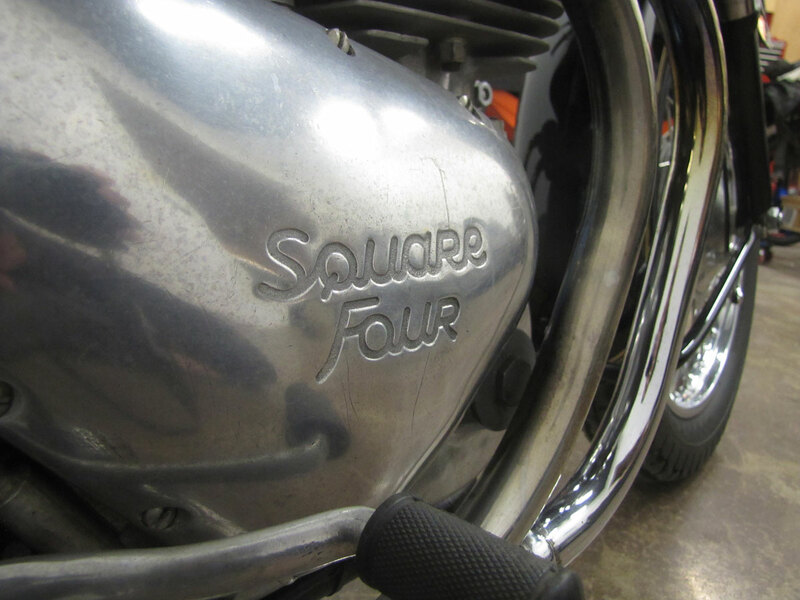 With its all alloy engine and four graceful exhaust headers the featured final Mark II Square Four was a very sleek machine. 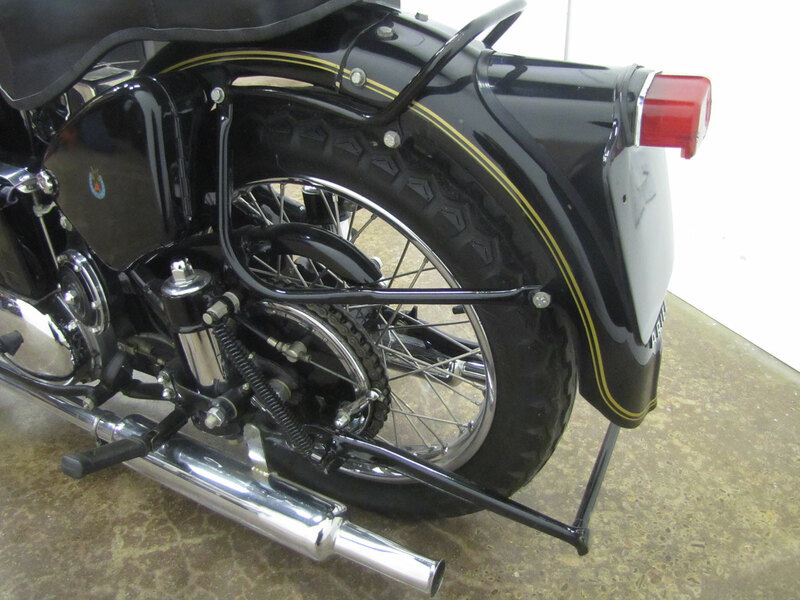 The Square Four chassis evolved to plunger rear suspension with a rigid mounted dual seat but 1958 marked the last production of the Four. 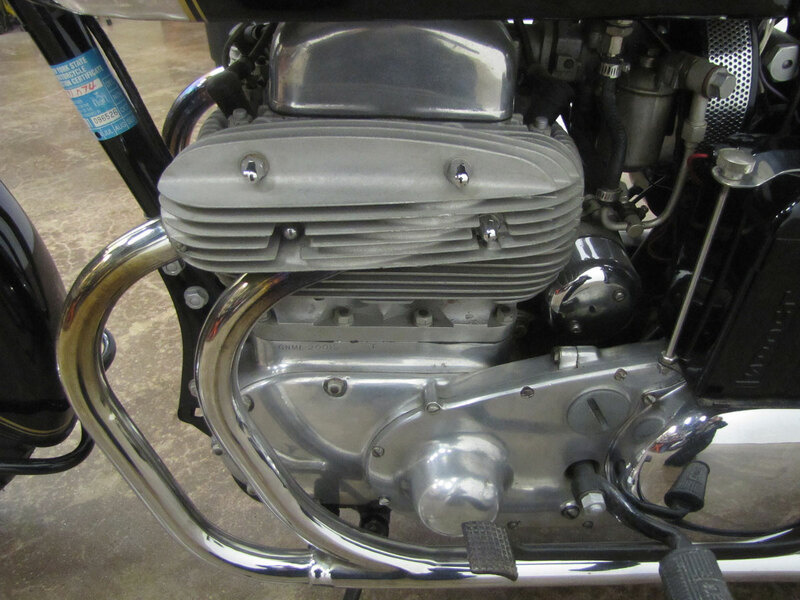 Unfortunately the square four engine was plagued with cooling problems even the all-alloy top end could not cure. 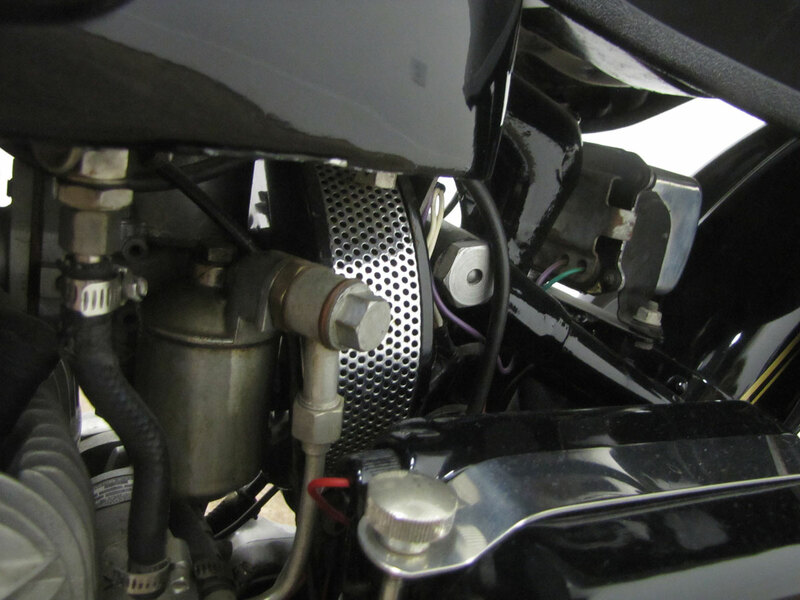 High temperatures in the rear cylinders due to lack of air flow there would cause the head to warp and the head gasket to fail. 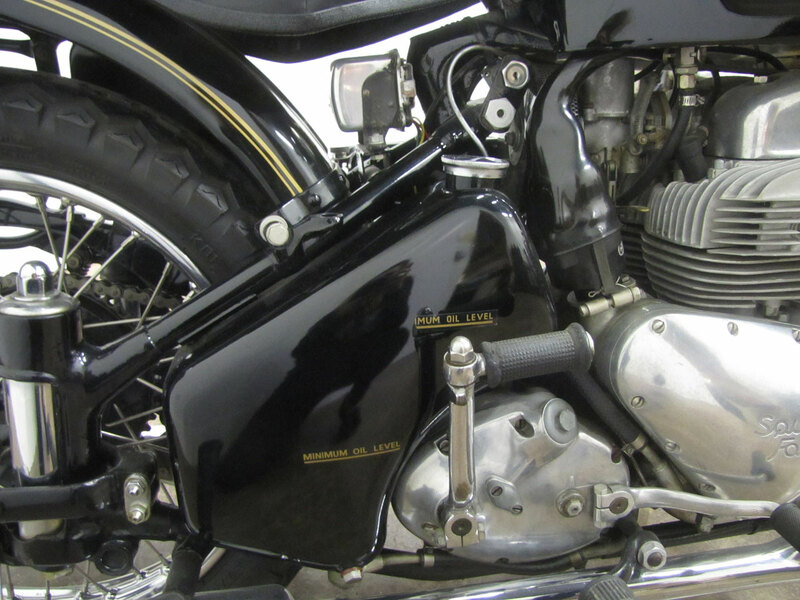 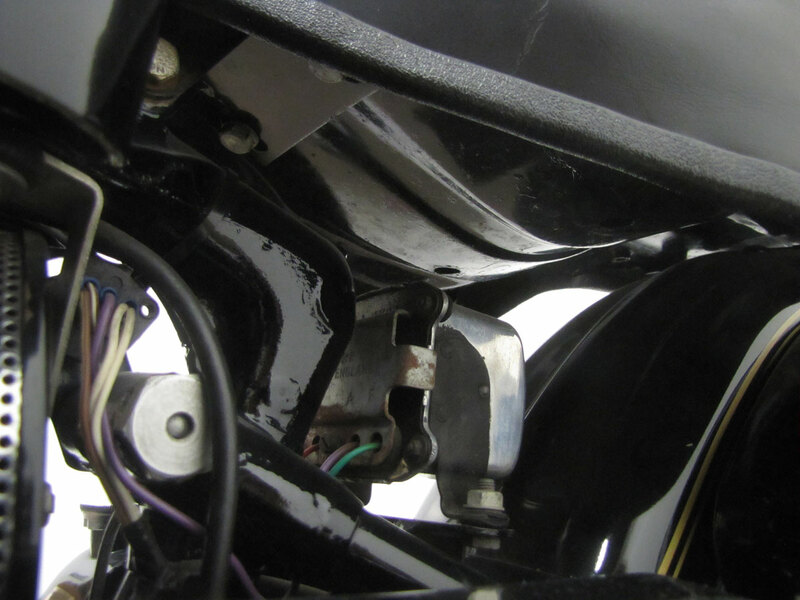 Crankshafts and connecting rods did not hold up to even moderate abuse; high revs mixed with low oil levels often meant a connecting rod would break and go through the cases. 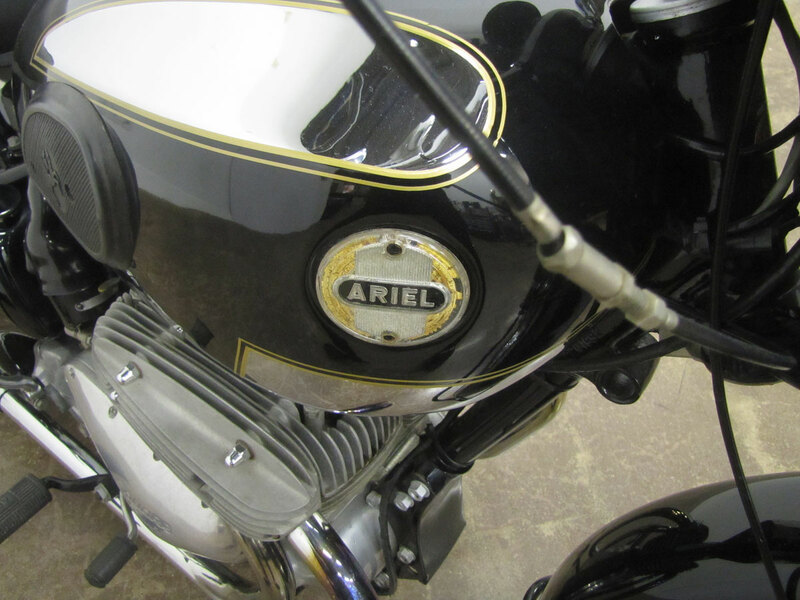 After almost 30 years production, the Ariel Square Four became a dependable and beautiful motorcycle, one of Edward Turner’s finest designs.